Well hello to you my reader chums! 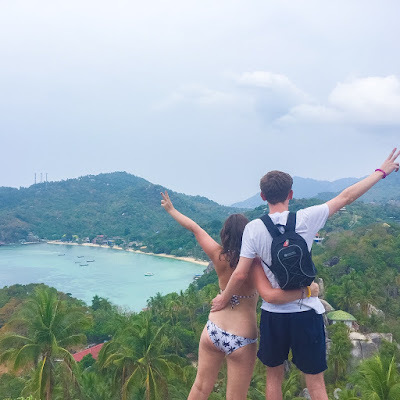 With the exceptional month of March completely over, it's time to share with you everything I've been loving over the past few weeks. March was a whirlwind to say the least. It was packed with many incredible moments, adventures and experiences, all I will cherish forever. As loads of exciting things did occur, I don't have many beauty products to share, however there's a couple of gems I adore. The first product is a rediscovered, old favourite of mine, Sleek's Face Form palette in 'Light'. 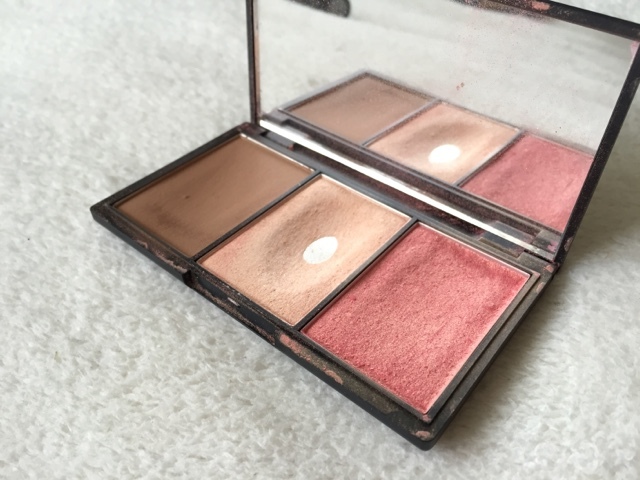 This used to be my go to contour/highlight palette because the bronze shade was the perfect colour to achieve that shadowed look and the blush/highlight were incredibly shimmery, drawing light to the cheek bones. 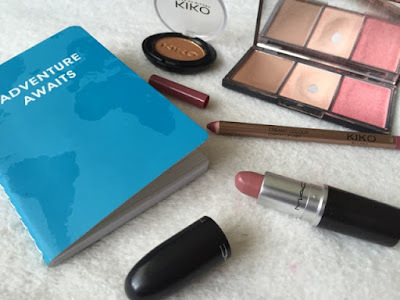 Over the past few weeks, I've been loving the blush and highlight shade especially, together or even using one, because it gives the make up look that natural added glow. Also, the packaging of this product is brilliant, not only does it come with a large mirror but if travelling you have 3 products in one! Another love of mine has been this single gold toned Kiko eye shadow. 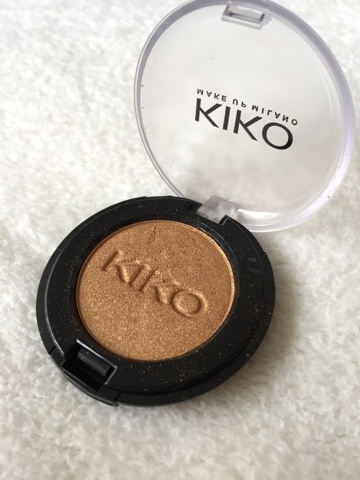 I've gained an obsession with Kiko recently, every product I've tried of theirs has been top quality for the price you pay. This eye shadow in particular reminds me of Mac's 'amber lights', however is slightly more gold than orange toned, ideal if you prefer a gold coloured eye look. I find as I have blue eyes, like 'Amber lights, this colour really helps emphasise them. The pigmentation and consistency is gorgeous, I definitely want to give more of their eye shadows a try! 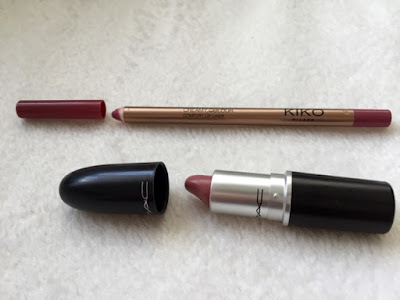 The last products are a favourite lip duo of mine that I've been wearing quite frequently in the past few weeks, either together or just the lipstick on it's own for a more subtle effect. The lip liner is another gem from Kiko in the shade '315'. I absolutely adore this, the colour is a slightly dark dusky pink and the overall lasting power is amazing; it'll last for hours on end without fail. It somehow once applied has the ability to cling to the lips so when paired with a lipstick helps the duration of wear last. I like pairing it with Mac's Faux as the liner is a tad darker, enhancing the lips even further. The colour together blends to a gorgeous dark dusky pink, a rather sophisticated yet natural option to opt for. As the lipstick is a satin finish when I wear it with or without the liner, it's quite moisturising on the lips, giving them a ever so subtle sheen; I love this combination. As I previously mentioned, March was an extremely busy month for me; I visited Barcelona, saw James Bay live, went to the Cadbury Crème Egg Café, celebrated my best friend's birthday, brother's birthday and many other events in between, I feel extremely lucky. Looking back I can't believe all the exciting and incredible things I got to experience over the past month, the fun I had with the most important people in my life. The spontaneous adventure, endless laughs, quirky chats, loving moments and more, March was a month to remember. I hope you enjoyed my monthly favourites! What products have you been loving over the past few weeks? Faux looks like such a gorgeous colour! Amazing post! I've never tried MAC's Faux but it looks similar to MAC's velvet teddy, which I've been obsessed with lately. 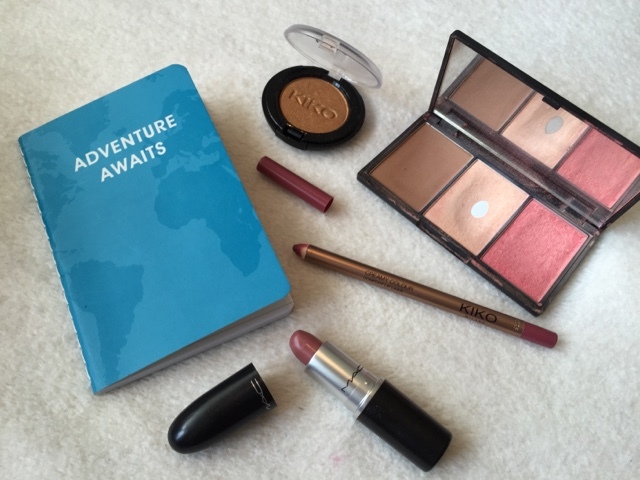 That kiko shadow is gorgeous oh my!